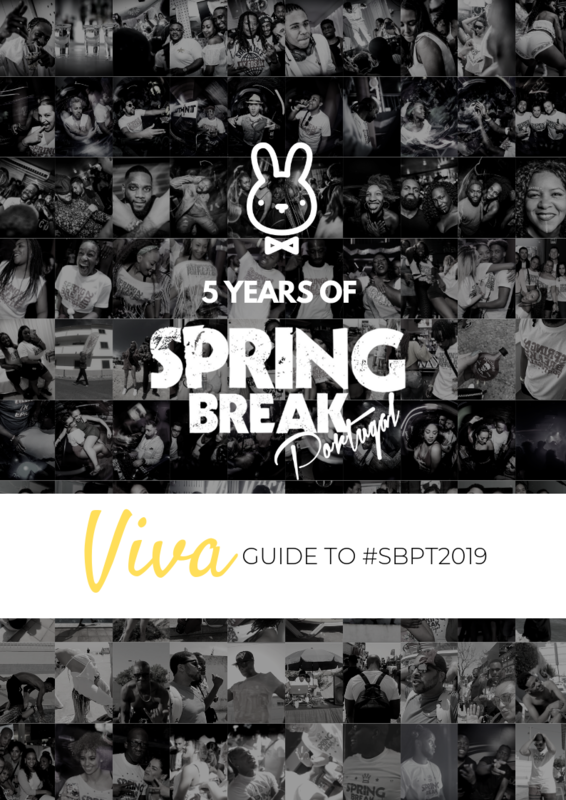 FREE DOWNLOAD - Viva Guide to SBPT2019! With this years Spring Break Portugal fast approaching, It’s only right that we release this years Viva Mag! We’ve created another amazing guide with all the necessary information about Spring Break Portugal 2019. For those of you unaware, our e-Magazines come in PDF format and can be downloaded directly on to your phone. This year, we’ve included loads of information about all the events and we’ve included information on airport transfers, hotel checkin/checkout and Google Map links to help you with directions. Furthermore, we’ve included a checklist of things that you’ll most likely need at Spring Break Portugal 2019. It’s the perfect Spring Break Portugal companion and saves you loads of time, so make sure you download it as soon as possible. Last but not least, we’ve created our Spring Break Portugal 2019 WhatsApp Group Chat. Click Here to join our group, or better yet, download our Viva e-Mag and join from there. FROM SBPT18 TO NOTTING HILL CARNIVAL! The countdown has begun and we only have a few days to get ready for one of the biggest and best carnival experiences in the world. OK fine... maybe I’m being biased as I have only ever been to Notting Hill Carnival, but surely a million other carnival goers can’t be wrong? Just like Spring Break Portugal, Carnival is one of those things that I look forward to every single year. It’s what officially ends summer for me, but with the happiest and biggest bang ever! If you grew up in London, then you should know what I mean. And if you have never been before then you have you even really lived? So with that being said, I thought I’d put together a little list of Do’s & Don'ts to make sure you have the best experience ever. Plan ahead – Phone service is rubbish! stations and buses are either closed or diverted! and barriers are up everywhere! What you don’t want to do is turn up without a plan and spend the day wandering about aimlessly trying to find where to go and what to do. Download a NHC18 map and pick your favourite spots. If you want to see the bands and floats, make sure you go on time. Thereafter, either follow them or choose a good spot to chill and watch them from. Pack your bag wisely – The best option I can suggest is to take a bum bag or a small rucksack, but wear it on your front. Make sure you take cash, your phone, tissues/wipes for when the port-a-loo’s run out, makeup if you’re wearing some for re-touches, a small bottle of sunscreen if the weather is good, water if it fits and maybe a battery pack if you intend to take snaps and or photos! Anything else is excessive and you will get tired carrying anything more than this. Meet in advance – The crowds are insane, everything gets chaotic no matter how well you know the area and the phone reception is non-existent. Last year I spent the whole day trying to find a few friends who didn’t meet us beforehand and in the end we just had to give up. 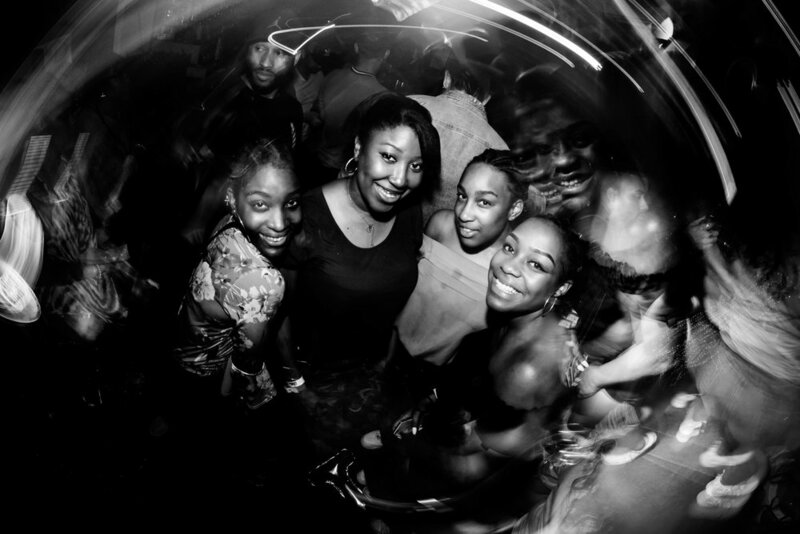 Sound systems – Half of the fun of Carnival is slipping down a side street to listen to one of the many sound systems that are playing the BEST carnival music; from Soca to Bashment, from Latin to Dub, from Rap to RnB, there is something for absolutely everyone. Oh wait... did I say listen to? No... I meant to whine and two step to with a Red Stripe in your hand! Some of our resident DJ’s from Spring Break Portugal will be performing at a number of locations such as DJ Krisis at the 'BLOC PARTY' in Middle Row. Caribbean cuisine – Please don’t go to Carnival and try to queue for some artisan pop-up that specialises in vegan jerk burgers or some other weird made up eatery. Find yourself a stall that has the most Aunties (yes... you read that right... I mean someone that looks like your typical Aunty) working there and treat your taste buds to a real Caribbean meal. Typical choices include jerk chicken with rice and peas and coleslaw. My favourite is curry goat with rice and a dumpling or, if you like them sweet, a festival and get some plantain too. You will not be disappointed! And as for drinks, the only things allowed are Red Stripe, Rum, Punch and Magnums… oh and water. Please remember to stay hydrated. High heels/expensive trainers – Walking gets tiring, especially when you’ll be at it all day long. People will step on your feet, and things inevitably get spilled. NO matter how well you think you can last in heels or how much you think your shoes won’t get dirty, know now... you are wrong. Large amounts of cash – Be vigilant of pickpockets and don’t keep all your cash together in the same place. I recommend putting some emergency cash or extra cash in your sock or an area similar. With the sheer amount of people surrounding you, even pulling out your phone could result in money falling out which you will never see again. Pressure to dance with people – Please do not feel pressured to dance with or give your number to anyone. If you don’t want to do anything, just politely decline and walk away. If you are worried, there are plenty of police officers around that you can go chat to or even stand next to. Drugs – Whilst we don’t condone drugs, people will be smoking weed which is pretty normal for Carnival. If you’re considering anything else, please leave it at home as you can easily ruin yours and others fun. It’s just not necessary. Bad attitude – Carnival is all about community, people, celebration and having fun. Leave your bad vibes, your beef, and your bad mood at home and enjoy the day! Summer-time was made for the Algarve! There’s not better place to be if you ask me. The weather is hot, the days are long and the nights are endless. Riddled all across Algarve are some of the most spectacular summer nightclubs and beach clubs in Europe. These clubs are only open for an average of 60 days for the summer and every year thousands of people migrate to Algarve to witness some of the best parties and some of the most unbelievable performances. Super Clubs like Seven and Blanco Beach Club have had festival-type rosters of artists light up the stage every night with amazing performances. This year already, we’ve seen the likes of Black Coffee, Tyga and Davido grace the Portuguese stage. Furthermore, the average entry fee to see most of these performers is just 20€ - 25€! And they normally offer one or two complimentary drinks. I mean if that’s not a bargain, you can always pay £60-100 to see Black Coffee perform in London. Plus if that’s not enough, don’t forget, you’ve always got the golden beaches and the stunning coastal scenery that Portugal has to offer, to help you recover after a night of heavy drinking and partying. This hidden gem is truly one of the best locations if you’re looking to experience an amazing summer holiday at an extremely affordable price. Long story short, if you’re looking to avoid over-popularised and overrated holiday-party destinations like Ayia Napa and Ibiza, but you still want an unforgettable super affordable summer, then we STRONGLY suggest you head to the south of Portugal to the wonderful Algarve. Dice - The elegant renovated space within the Casino de Vilamoura. Dice Club is a sophisticated place to hang after a day at the beach, an evening at the marina or a night at the blackjack tables. Bliss - Open July - August, Bliss ia an amazing open air nightclub. One of Algarve’s coolest nightclub venue with special musical acts and DJs from around the world making guest appearances. No Solo Agua - Set within the Praia da Rocha marina, the huge saltwater swimming pool is surrounded by lush daybeds and loungers, perfect for chilling and sipping champagne. At night the Água Beach Club comes alive, hosting the hottest parties in the area. Guest DJ's set play the best music around and the party goes on into the early hours of the morning. Magical! 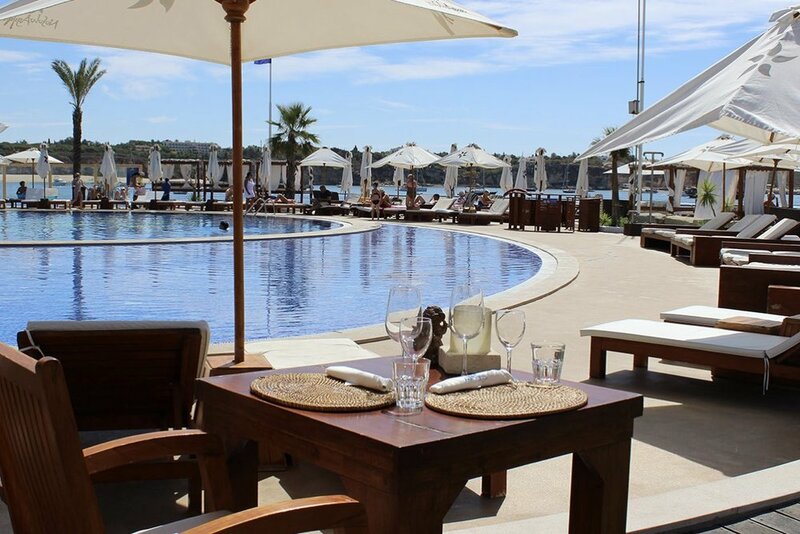 Blanco Beach Club - On the edge of the sea in Portimão, Blanco Beach is a premium day and night club. Experience personalized service, elegant round beds and VIP huts with private Jacuzzi. At night, 5 star entertainment with world-renowned DJs and musical acts keep the party popping through to the early hours of the morning. Lick - Previously renowned mega-nightclub Kadok has been transformed into Lick. The hip, urban nightclub, on the edge of Vilamoura (between Albufeira and Boliqueime) is a hot nightspot for hanging with friends and dancing into the early morning. Top DJs and musical acts, along with theme nights, will keep the party going through the end of August. What are you favourite nightclubs in Algarve? Have you been to any other nightclubs? Drop us a comment and let us know. I found out about Spring Break Portugal from one of the DJs who was due to be performing out there. As soon as I heard what it was all about I began researching. It took my interest straight away because of the variety of parties available as well as the day activities and places to visit. The booking system was so easy and simple, which was necessary for someone like me. I am only 18 years old and it was my first holiday without any of my parents, so having a booking method that was easy to navigate made it feel less stressful and it was easier than I had suspected. One of the things that I was most sceptical about was meeting new people because in my mind I had the preconception that it was going to be people mostly aged 21-25. But my mind was easily changed! When I arrived, I was meeting people of all ages - as young as me and older too! So I never felt out of place. Also, when talking and greeting each other, age was never a concern. For the week, we were all the same age and the positive vibes was of more importance. In addition to meeting people on the day, there was also the 'WhatsApp Group Chat' that we joined before. The group chat meant that we got to know everyone and banter before we got out to Portugal. In my opinion, this is one of the most helpful things and it made everything feel less overwhelmingly brand new. When me and my friends arrived, we knew people already and everyone was letting each other know they had landed safely. It was great, everyone was sending videos and selfies so that we could familiarise each others faces. Throughout the whole holiday the chat was great for communicating important message as well as deciding on meeting points for the day activities. In general, I found that the communication from the organisers really helpful and they were in touch through email too. This made everything seem sorted and smooth. For example, when we arrived at the airport and were transferred to our hotel in Albfueira, we were told via the Group Chat to go to Solo Bar on the Oura strip. Solo Bar was like our base where you could always find someone. There we met reps straight away, where we registered, got our wristbands and our Spring Break Portugal t-shirts. In terms of day-time activities, this added to the whole experience and bonding opportunities. I went go-karting which was lots of fun and a great way to bond outside of the party environment. It was optional to do the day activities, so you didn’t have to go if you didn’t want to and didn’t lose any money. There were also options like going to a Water Park too. My hotel was a 10-minute walk from the strip which was convenient for us and the beach (Praia Da Oura) was at the end of the strip, so everything was in walking distance including all restaurants like McDonalds, KFC (We all love a bit of hangover food) as well as traditional breakfast places, kebab houses and other takeaways. I would say my hotel (Paraiso De Albufeira) was decent for what we paid, except the pool being closed for repair! The service isn't one which I would recommend, so I know that I’m going stay at a better hotel next year. Anyway, onto the important bit – THE PARTIESSSS! This is what I called the ‘Get-To-Know’ everyone kind of night. We familiarised ourselves with each other and started off the week on a high. The bar crawl started to heat up some tension but of course - good tension. It was red t-shirts vs green t-shirts starting in different bars to see who could party the hardest, and then we all joined each other in one big club at the end. Of course, my team - RED TEAM - won, for partying the hardest because we were obviously the better party animals. Again, you got to meet even more people and party even harder together. The all white Party - everyone went classy this night! This was my favourite night - it was popping off! The vibes, the energy – it was all there! These days were supposed to be evening events with a Boat Party one night and a Beach Party the other, but the weather cancelled those plans. I can say I was a little upset, but I didn’t need to worry too much because the organisers were on the job! They replaced those two events with free entry to night clubs and a whole load more partying which I couldn’t complain about at all! The DJs shelled it down one more time for us and we continued to live our best lives. By the end of the week I was mash up like WOI! My feet were burning HARD! I had partied HARD, but I tell you what - I enjoyed every single moment and wouldn’t change it for the world. On the last day, while we waited for our flight, I was sitting there saying ‘I don’t want to leave’. I almost didn’t, when our aiport transfer didn’t turn up! But you know, the organisers were with us within 5 minutes to help us out and got the problem solved. As soon as I got home I just wanted to go back again! It was an experience and a half, and I would recommend it to anyone and FOR SURE I will be going back again in 2019. Spring Break Portugal: Festival or 24/7 Party? Since its inception, there have been a few debates on whether Spring Break Portugal is a ‘Festival’ or a ‘Party Holiday’. I mean both sound amazing, but let’s face it. We’re a festival (and a damn good one at that)! Ok! So we might not have a fancy stage, and there might not be a bunch of celebrities lined-up to perform, but, a festival can come in different shapes and sizes and we just happen to have a very different take on it. Anyway, I’ve decided to explain - once and for all - to you and everyone else, just how much of a festival we really are. So first-thing-first, we’re called ‘Spring Break Portugal’ for a reason! Occurring annually during the easter-spring holiday, it's quite clear why the name is an obvious choice. Originally being an American party phenomenon, it’s safe to say that ‘Spring Break’ sounds way more exciting, don’t you think? I mean, imagine if we called it ‘Easter Holiday Portugal Festival’… Err, dead! "But where are your acts" you ask? My response... "We actually have loads!" Just look at our amazing line-up of resident DJ's and hosts. We literally have DJ's from all over Europe playing everything from Deep House to downright dutty Bashment. Personally, I’ve never heard of a festival that covers so many genres of music (if you know of any, feel free to drop it in the comments). ‘And you don’t even have a main stage or a venue’ -- Erm, actually we do! You’ll find that the whole city of Albufeira is our venue and the clubs are our stages. Imagine a metro-festival, with all our parties taking over the entire city’s many bars & clubs, not to mention, the beach parties, the boat parties, the rooftop parties and the bar crawls happening everywhere else throughout the city. Literally, there’s no better venue and stage imaginable. Furthermore, your experience with Spring Break Portugal is guaranteed to be a unique and personal one at that. Unlike most conventional festivals, you aren’t trapped in a park/field with a bunch of strangers who you probably won’t ever hear from again. No, at Spring Break Portugal you get the one-on-one treatment, mingling with the DJ's, meeting new people and taking part in all the exciting attractions like the waterparks, go-karting and city tours, as one big Spring Break unit. More importantly, the Spring Break Portugal team are some of the friendliest and most caring people ever (queue-in Lexi), inviting everyone for pre-drinks and making sure everyone gets a chance to meet and make new friends. Plus, our WhatsApp group is absolutely litty! It’s the first time I’ve been able to meet so many people going to a festival, before I even touch down. There’s literally always someone available to answer questions, or, to make plans with. And even once we get back home, the fun just doesn’t stop! We’re constantly arranging get-togethers and the banter is just never ending. It’s been months after we’ve come back now and we’re still blowing up each others phones. And lastly, we all know, no festival is complete without some jolly souvenirs. I love my wristband. I think I kept my Spring Break Portugal wristband on for far too long after, so much so, that when I took it off, I had some serious tan lines! Plus we had Kitty-Kat-Ibiza hook us up throughout SBPT2018 with daily doses of glitter, glitter tattoos and body art (perfect for all those amazing photos and video keepsakes). Oh, and my favourite thing of all, is the free complimentary t-shirt that everyone receives, that I now wear as PJ’s (Go Red Team! ).